The KIP 2300 high productivity scanner sets a uniquely high standard for speed; quality and flexibility in a digital image capture system. Best in class productivity is achieved via new KIP Tru•Speed Technology for high speed data processing with no delays. Outstanding image quality is delivered through the innovative use of bright white LED light sources for illumination and 600 x 600 dpi image capture resolution. The KIP 2300 monochrome & color scanner provides demanding users with the highest image quality, versatility and productivity. 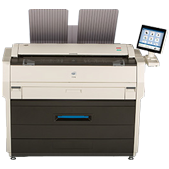 Innovative productivity and configuration versatility expands the range of KIP 71 Series MFP systems to meet the needs of technical printing professionals. 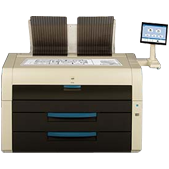 Space Saving Performance - Three new KIP 71 Series MFP systems offer innovative productivity and configuration versatility expands the range of the KIP 71 Series systems to meet the needs of technical printing professionals. 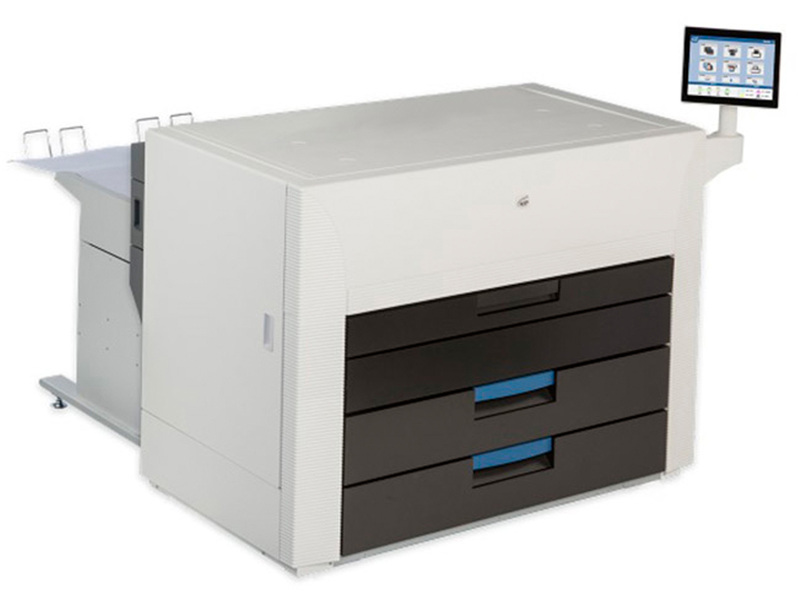 The innovative space saving design of the KIP 75 Series with top stacking delivers increased speed, impeccable b&w print quality, setting new performance standards to easily meet project timelines while reducing cost. High Definition Print Technology delivers rich expressive black density with advanced greyscale and fine line enhancement. 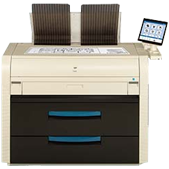 The 7570 Print System easily handles the demands of any network printing environment. Manage daily print, scan and copy requirements effortlessly with the KIP 7580 MFP or upgrade to the production power of the KIP 7590 MFP to optimize production with confidence. The KIP 75 Series hourly productivity and configuration versatility will give your organization the confidence and flexibility to meet the demands associated with technical printing.